Many of the problems that arise in computer systems can be avoided or prevented if we perform periodic preventive maintenance of each of the components of the PC. There are two great enemies of your PC that are heat and moisture. Excess heat accelerates the deterioration of the delicate circuits in your computer. The most common causes of overheating are dust and dirt: vents and fans thick can block air circulation inside the cover, and even thinner layer of dust can raise the temperature of the components of your machine. Therefore it is necessary to keep your system clean inside and out. 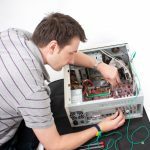 The primary goal of preventive maintenance is to extend the life of the computer and avoid possible failure in the future, and it basically consists of physical cleaning Internal and External computer equipment. Please basically clean the external components and internal components that are inside the CPU cabinet. Among the external components can include the cabinet, the monitor, keyboard and mouse, and within the internal components should be cleaned, are the motherboard, adapter cards, cables and connectors, power supply, RAM, fans, drives, DVDs, CDs. Free Report **: Exploring A Computer System and knowing the best PC performance. The frequency with which you should implement this type of maintenance depends on the environment of the computer basically, but must also take into account the quality of the components thereof. If the PC is in an extremely dirty environment should be cleaned every three months on average, but in a clean office cleaning should be done on average once or twice a year. 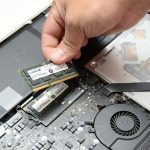 Do not touch the edge connectors of cards and memory modules with fingers as moisture and fat deposits forming them that eventually corrode the contacts. Certain elements warrant a fuller unloved to remove dust from the inside as the power source and the sink-fan assembly of the CPU. What if the next time you want to perform maintenance on your computer, you print this document and have on hand, that you follow the recommendations just gave you, if you do I promise you will succeed in this activity.